The growth of data streams and data analysis will generate significant developments in the 21st century. Big data will play a key role in shaping the design of products, systems, and services by making them smarter, better connected, more efficient and widely accessible. 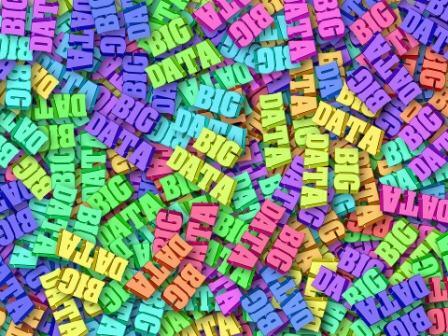 The concept of big data can be illustrated by likening it to an Excel-file like. Such a file include countless columns and rows of data. However, big data is not appear in an Excel format. Despite prolific writings about big data, there are only a handful of places where big data are readily available. Many organizations store data in volumes measured in large numbers that we are unaccustomed to. Embracing big data adds another dimension to industrial engineering research and practice. It translates into an area of intellectual and economic activity. After all, the very reason for collecting process data is to reflect process behavior. Such data can be used to model processes, which in turn can be optimized. Big data modeling offers significant advantage, as the models created can be more accurate than models created with less data. As a profession, industrial engineering stands to gain tremendously by embracing and engaging in big data research and application. Industrial engineers can apply big data research in areas that include manufacturing and remanufacturing; product design and development; the service, energy, transportation, healthcare and biology sectors; sustainability and innovation. Manufacturing and remanufacturing. Traditional manufacturing and remanufacturing as well as emerging manufacturing technologies and systems involve data. Areas of industrial engineering activities are naturally amenable to big data analysis. Data science offers tools for fusing diverse data steams (parameters) that would not be possible with traditional approach such as operations research or simulation. Models involving diverse parameters could be highly accurate, which could be a boon since forecasting in any industry usually includes the chance of significant error. In one case, a data-driven model combining data about product, material and process parameters dramatically reduced the number of roll-off errors in wafer production. Product design and development. Industrial engineering needs to be open to embracing all engineering areas where data offers value. Product design and development is a highly multidisciplinary process awaiting new solutions. Service. The industrial engineering profession may learn from the frameworks developed by service communities and translate them into practical applications versed in data. Text, images, and numerical data can be combined to support decision-making in industry. Energy. The energy industry is undergoing significant changes, triggered largely by environmental concerns. Energy generation is becoming distributed rather than centralized as a shift to clean energy is taking place. Production system expertise is applicable to the energy industry, and this is includes wind energy. Wind farms offer tremendous volumes of data that come at low cost. Transportation. In the transportation domain, industrial engineering has been present for years. Now is the time to integrate the data modeling and human factors perspective in a uniform research and development approach. The single most differentiating factor between the transportation and production domains is in the data. Vehicles move while production machinery remains stationary. Therefore, telematics system limit the width and frequency of the volumes of data transmitted. Determining the type of data and the frequency of data transmission from a vehicle is, in fact, a valid industrial engineering problem. Making use of the data attributed to a transportation network is a great challenge. Sustainability. Industrial engineers could not find a more interesting area of research and practice than sustainability. Partnership could be formed with civil and geo-informatics communities to create data-driven models, involving water, soil and climate application. A wastewater processing plant involves processes that consume energy, and it also produce energy, which is methane gas. This is a large system that need big data solution due to the diversity of different processes that have to work seamlessly. Healthcare and biology. The industrial engineering profession has a long history of engagement in healthcare research and practice, particularly involving process improvement, safety and information technology. Healthcare awaits solutions for disease diagnosis, treatment optimization and process improvement to benefit patients. Embracing clinical and genetic data, including data from deep-sequencing equipment, offers great opportunities for implementing process and modeling perspectives. The key challenge ahead for medical research include discovering knowledge from all of the data gathered and making use of this data in clinical practice. Innovation. Innovation has been studied for decades; however long awaited breakthroughs are still to come. Some industries use data in fostering innovation, while most do not use it at all. Any area of economic significance is usually backed up with science. The fact that meaningful innovations are rare can be interpreted to mean that our innovation processes carry a huge error. This large error suggests that massive experimentation is needed in the generation of high-impact solutions. Any innovative solution needs to be accepted by the market which implies that a market model versed in data and allowing for massive simulations would lead to disruptive and continuous innovations.